Use the Zip-File Upload for many- or larger Models. Make a Thumbnail from your Model with one click. Click the Video below to see a overview of the Canvasio3D Pro functions. Video tags not supported by your browser. Many options are in Canvasio3D Pro to present your products and 3D-Models in different page templates. Here are four examples that show some possibilities. Give Your Model Background A Stile. Many Models look great in a separate environment. In Canvasio3D Pro can you easily set up it for each Model with a click. From a Ocean up to a static Model for the background. Select different Environments (Cube-Maps) for your scene or load a Image for the Model background. Get the right Light for your Model and click simple one of the ready configurations settings in the light set menu. Upload a static Model in the scene that can be used for the background. With the docking system of Canvasio3D Pro can users and visitors combine two Models with a click. Simple to use for seller of Jewelry up to Car parts configuration. In the backend of Canvasio3D Pro you can separates all of your Models in two kind of Objects. To connect your Models, can you determine one as a Basic Object and other as Sub-Objects, that shall fit to it. If you want to use WooCommerce with a Model, you only need to enter the Product-ID of a WooCommerce product. Our 3D-Plugin for WordPress has become constantly expanding and is now ready to use for many possibilities. Our support of Canvasio3D Pro is a service for you. Since release at March 2015, we have expanded our product, constantly improved and supplemented with additional functions. For example can you now among other, entering the informations about the Model and tags filter for the Model search. It is also possible from version 1.8.0 that visitors and users upload the data for 3D-Models in Canvasio3D Pro as a zip file and you will receive an email after the upload. Supported languages: English, German, Chinese. Our updates will continue to be free for all Buyers. can you find in our Documentation. Canvasio3D used the default value of the Model for reflection, if you set it in the settings of Canvasio3D to zero. Use a 3D-Progamm like blender and enter there a little value for Mirror to reduce the reflection. Or if you like, send us the Model so we can do it four you. Hi, can u say me if in this moment your plugin is updated to latest wordpress version? Is possible using in woocommerce or easy digital downloads? We have tested Canvasio3D Pro with the latest WordPress version 4.9.8 without problems and you can use it in woocommerce. For more information, please test our demo of Canvasio3D Pro: download. Does canvasio3d works with relative path and https://. We have attempted in the past with full url and https:// and it didn’t work. Anything fixed in newer versions? Recently I updated my Canvasio purchasing the pro version 1.8.9aa, but I have having some troubles with it (actually I think just after installing the pro version!). Hereafter I am trying to explain: I am not able anymore to insert more than one 3D image frame in the same page, please help me ! Should I need to uninstall and reinstall the app or what else ? 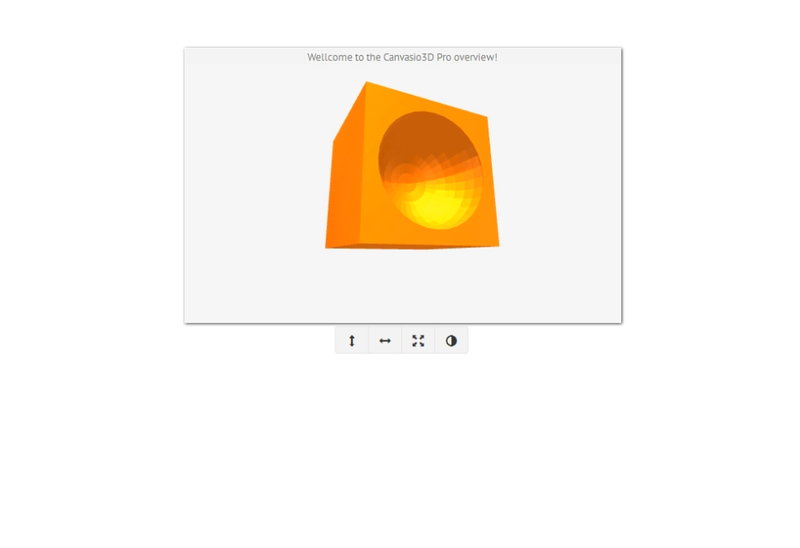 Canvasio3D Pro use templates with different functions for one 3D-Window in a single page. If you like to show more than one model in a page, than can you activate a thumbnail slider in the template menu. Additions information – Here is an Example. Hi all, many thanks for your prompt reply ! This matter is solved and over. Now I have another problem 🙁 I am not able to upload the fbx, dae, and obj files, I always receive the following message: Error | http://3dbiagiolab.it/wp-content/uploads/2018/04/FP-1300-L_bunkover-aperto.mtl (more than this the file I tried to upload was not a mtl format as it showed!). Do the files I want to upload need to answer to some specific requirements ?! I would like to upload some 3d cad models generated from Rhynoceros. we have tested your Model: “FP-1300-L_bunkover-aperto.obj” and have found, that this model was not correct exported. (For example: The .obj File format needs also a .mtl file for the material settings). We are running a test with the Pro version (demo). We have two stls, the maxilla and the mandible of a model scanned on a dental scanner. The stls have the coordinates on it. If I use any viewer to open both stl at the same time, I can perfectly see the occlusion (the bite). But, if I try to load the two stls (Sub-Objet) on this plugin it do not load the correct position for the stls and I have to manually (using the position-y) position the two stls to do the occlusion. We can not relay on a occlusion manually registered, its not precise. Are we missing any configuration? The canvasio3D Plugin loads a 3D-Model “as it’s settings is”, so it should not be a Problem. Canvasio3D Pro supports loop animations for the format: .fbx and .dae. You only needs to upload models with this formats and it should play automatically. I am playing around with the light version of your plugin as the website I am working on needs something exactly like what Canvasio does. I am curious to know if one the plugin in allows for the change of material based on user selection. 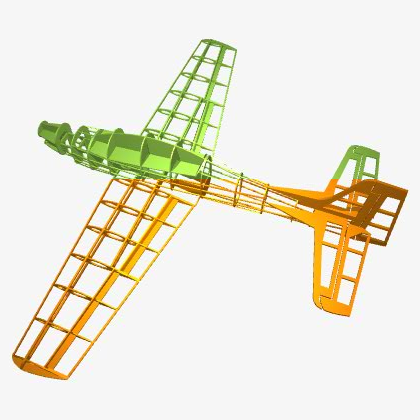 Meaning, the model remains the same but user can change the material by clicking on a corresponding image. Canvasio3D Pro has no functions to let users change the texture. I am using this Pro plugin for a year and it was amazing. Recently i want to make my website to become a STL viewer site. I created a page for that and select “ENABLE UPLOAD” . in a new template. However, when i try to upload a stl model in the front, the upload button has a “X” on top of it, and the upload fails. Please advise. If you like, please send us the url with the Canvasio3D Pro themplate page to: support@canvasio3d.com and we looking where this problem came from. just shoot an e-mail to your mentioned e-mail address. Hope to get the problem solved asap thanks! It seems that this problem can come in some WordPress themes. So we have made a little update in the version 1.8.9a to fix it. I was using the Light version and loved it, so I upgraded to the Pro so that I could have the fullscreen capabilities. But in the Pro version, the physics of my object appear to act differently. In the Light version when I released my mouse the object would continue to spin and you could throw the object in different directions and it would continue to spin. In the Pro version when I release the mouse to spin the object it slows down immediately and that takes some of the fun out of messing with the model. Is there any way to get that effect in the Pro version. Please let me know if you need clarification. Thanks, great product! In the pro version can the user spin the camera around the 3D-Model, so it has a better handling on mobile devices. And if you like can you set the Model to auto-rotate in the x- and y direction. I understand that. But my question is whether I can get the same physics effects in the Pro version as the light version. So that I can throw the object around and it continues to spin as if it were suspended in no gravity. Canvasio3D Pro and Light has no functions for physics effects, but the pro version can play animated 3D-Model so it’s look like “physics effects”. Hello, I am currently developing a site, we want to use this plugin only for showing products, but we do not want people to download them. Is there no possibility for people to download them? All data that shown in browsers must be downloaded to a client, so it is not possible what you would like to do. But you can use a exotic 3D-Format like “.jd” that can’t loaded in mostly 3D-Programs. Hi, I want to make a multivendor ecommerce site with a woocommerce plugin where user can edit the product design . So I want the product constant in 3D but the design on it’s texture need to be change by the design user on multivendor marketplace site . Is it posible to achive this by Canvasio3DPro ? I have plugin for product design but want to give opportunity to show the product in 3D . How can i impliment this using Canvasio3D ? A function to change the texture online in the template, is not implemented yet. But we work on a new plugin for the next year, that has functions like that. What is the difference between the demo version and the paid version? 1.) Can my blog’s member upload their 3D files to my website using Canvasio3D Pro themelves? 2.) Can Canvasio3D Pro allow my blog’s member to download the 3D model uploaded by me or other members? 3.) Since the plugin is a bit expensive, and since I want to know whether this plugin is what exactly I want, I would like to have a 1-3 days trial before I make the payment, is this possible? 4.) I saw your web has Chinese translation, do you have any staffs that can speak Mandarin or Cantonese? thank you for your Email and your questions. 1. Yes, there is an upload button on the Frontend / Template page. But it must enabled in the Theme config menu. 2. Not with canvasio3D pro, but it should go with wordpress itself. 5. Canvasio3D Pro has no functions to change the model colors in the fronend. Good evening. I have tried of several forms to import an animation from Cinema4d and it is impossible, algun tutorial, thank you. A greeting. We do not support Cinema 4D.So we can not answer your question about how you Export your Models with this Program. But id you like, try to export your Model in the .dae or .fbx Format and test it with a other 3D-Program like Blender. I’m searching for a 3D model viewer to be used in a WordPress site where it’s possible to change the color of some parts of the 3D object. In Canvasio3D Pro are no functions for customers, to change the color of an 3D-Model. Can You send me a working version of an obj/mtl file that works for You? I am trying to narrow down where the problem resides. Thank You. here is a simple 3D-Model in the format: .obj that should working: Female02.zip and please try to use a public webspace and not a local server. Hi. I am still interested in your plugin but I am totally in the dark. I have wordpress running on a Wpordpress friendly webhosting. I have tried different obj models. Exported from both 3ds Max and blender. I upload obj, mtl and jpg texture to the gallery. I link the obj at “..” as told. I tried different browsers: Firefox, Chrome and Opera. What am I doing wrong ? I sure want to go pro, but the assistance so far is insufficient. Please help. Thank You. Your product seems to be ok for my customer but I would like to connect 4 models 3D, is it possible with Canvasio3D. In Canvasio3D Pro can customers connect one Model to an other, but not more. in a test of your website we did not find any errors and it seems in your image that the installation was not correct. And maybe deactivate plugins for the website caching like “Super Cache” when it runs on your website. Maybe I don’t upload the correct files? Can you send me the files that I should upload? And if it’s not the problem, What can I do? We have u send a Email on Monday 27 March 2017 16:54 with a patch version. Have u used it? We have send U today two Emails, have you received it? Hi, I just exported an .obj file from Marvelous Designer and when i try to load it with Canvasio3D it show me a lot of black pieces diconnected each other. Maybe I need to find some set up for the export. Can you help me? a good way to test- and corrected your model is, to import it in a 3d program like blender and export it again in .obj or .dae. Or maybe you can try to export you models in Marvelous Designer in a other format, e.g. : .dae or ascii .fbx. Also could this link be helpfull when you use blender: Materials from Marvelous Designer to Blender. I love the product! Are there any plans to make the object editable once it is in uploaded. much like the t-shirt makers, changing the color of the fabric, for example? We think about features like that for the future and it can be ready for the middle of this year. is it possible to let customer map images on the model and save it to their cart ? We have integrated an upload function for images, that shown on a 3D-Model. But we must this function to revise for woocommerce and it comes in a next update. When will be released the update ? the next update is planned for about the beginning of november. I tried to upload .obj and the zip with textures, none of them worked. I also followed the instructions on the documentation but no result. Can you please help me in this, I might doing something wrong. If you can, please send us a screenshot of the Canvsaio3D Pro menu, so we can look where the problem can be. Also you can send us the url from your website with a test page, where the canvasio3d short code is insert. I tried to work with the demo version but the buttons are not active. I wounder if the pro version will have the same problem. Why I can’t rotate vertically ? I can rotate only by control buttons? or it can be fixed? The camera can rotate all around, but not under the 3D-Model and yes, Canvasio3D Pro is responsive. I will be sending the info shortly. Is there any way to rotate under the model? at this time not, but we can insert a switch for the rotation in the future updates. But why it can be rotated by the control button and not the mouse? With the control buttons can you rotate the model, but with the mouse you rotate the camera in the window that “look” at the 3D-Model. So the frame canvas created wasn’t showing up, nothing, so I deactivated all my plugins and put them on one by one, everything was going fine, the frame canvas was still there until I activated WP:OG which is open graph thumbnail for Facebook, then the frame canvas appeared. I deleted WP:OG and used YOAST SEO open graph instead, but when I enabled the facebook setting, the frame canvas went again. So it has something to do with open graph, that your plugin doesn’t like? Could you confirm this? I have tried 2 open graphs and both don’t like Canvasio3d, the canvas just wont display. Maybe this problem can come from the wordpress theme that runs on your website. Ok so I important it into blender and exported it again, but still, materials or .mtl not showing up, just black shiny model. You said .mtl file needs to be corrected, or can be via note pad, could you explain how this is done? I done it! !, after all that time, I just didn’t upload the images for the .mtl to find hahahahahaha! Great – And thank you for your positive Response! Thank you for quick replies. I also do tutorials on WordPress, tips and tricks, good plugins etc. In the next week or so i’ll be doing a positive tutorial on YouTube for this beautiful discovery! Not only is it pretty easy to use once you know how, but this is absolutely great for my freelance web design career. Good work guys, and thank you. Thank you again! – Send us a link from your work, when you like. Forgive me, It’s me being an idiot…. I didn’t have any height or responsiveness on my panel….. so it wasn’t showing up. Fixed now. No problem thereby! – Write us if you need a support. Ok, I can’t seem to get the material or .mtl to load, they are both named the same but the model is just black. Sometimes is the export from a 3D-Program not correct and the .mtl file can have errors. If you like send us the .mtl file to support@canvasio3d.com and we check the file. Is there not a way of doing this myself? Would I have to contact you for each .mtl file I need working? is there a specific 3d program to use to export it correctly? The .mtl is like a normal text file that you can edit it with e. g. Notepad. Simple import your Model and export it again to correct some errors in the .mtl file, if it runs in Blender. I created a template with ID 1, even with 0, the short code still isn’t displaying on the web page. And we looking where the problem can be. I just did that now [Canvasio3DPro templateID="1" objectID="1"][/Canvasio3DPro] The model in the config is coming up fine, but it’s not showing up on the web page. Just bought this plugin and it just doesn’t work, or I can’t get it to work, I create a new object, upload both .obj and .mtl file and nothing happens, I put the short code in after creating a new template [Canvasio3DPro templateID="test" objectID="1"][/Canvasio3DPro] and nothing comes up. in the short code, please enter only the right number for the template or model (you have enter “test” as ID for the template). I’m not able to limit the number of sub-models that I can insert on a basic model: all the basic models are visibile in first thumbnail box and the user can actually match any sub model to any basic model. I have already tried to assign different categories to basic models and sub models (as seen in tutorial), but it doesn’t work. Sometimes this situation generates overlays (different sub-models on a same basic model or different basic models in the same frame, with wrong position). Is it possible to display different configurators for different pages? I need to have ONE configurator for each page of the website. Is it possible also to limit the displayed sub-models by showing only those for the selected basic models? We work on an update and we release in the next time some video tutorials e.g. to show how the categorie- and sub model functions works. If you like, send us your website / url to: support@canvasio3d.com and we look for the problems. Hi, thanks for your plugin. When I generate the shortcode on a single page or on WC page, I have a 4 arrows block displayed when I load the page, without any model… I have checked the template and model ID and it is the correct one I enter in the shortcode. Would you know why the model isn’t displaying on the page? Thanks for your response to my question. I downloaded the canvasio 3d pro demo version to see if it will work for my store. Are you able to add an anchor point option to a sub-model? That way you can connect sub-models to other sub-models. I don’t know how difficult this would be, but I just wanted to throw that out there. In order for this plug-in to work for me, I would need to be able to connect sub-models to other sub-models. Otherwise, great plug-in! Thanks! a function to connect sub-models to other is indeed possible, but it is also a little complicated and very special. I had a quick question for you about Canvasio 3D Pro’s Docking System to connect different elements of an item. In your example, you show that a customer can choose two things: the type of ring and a gemstone. Can a third element be added? For example, using the ring example, is it possible to include a third model type such as another gemstone alongside the first gemstone? I hope that was understandable. Thank you for your help! The plug-in looks awesome, and if three elements can be connected through the Docking System, that would be fantastic! thank you for your interest on the Canvasio3D Pro Plugin. In the aktuelle version can a customer only one 3D-Model connect to a Basic 3D-Model like a ring. Great module ! I had just decided to move away from wordpress (tired of attacks on the server) but this is really cool ! Is it possible to create an “automatic” slide show rotating through a series of models ? Not sure how that would affect memory usage on the client ? At this time is it not bossible for a slide show of 3D-Models, because this needs many system memory and long transfer time to a device. I tried embedding the 3D through my Visual Composed it appears to work but it i messing up the layout of page to full wide layout. if you look at the other pages they all differ from this page. I would love to buy this if you can ensure me that it will not mess up my layout. Sometimes can it come to a conflict between Canvasio3D Pro and the WordPress theme. In the last Version 1.7.2 is this problem minimized. So if you like, try this Version and you can send us a Screenshot of the layout from your website, where Canvasio3D Pro runs. for a client of mine I would like to make online drum set configurator. I would like to know if your solution suports configuring cca 10 objects at a same time. Lets say 10 3D patrs that user can add or replace and later rotate? If yes in what format should this 3D parts be? Canvasio3D Pro has no functions to show more than one 3D-Model on one page.